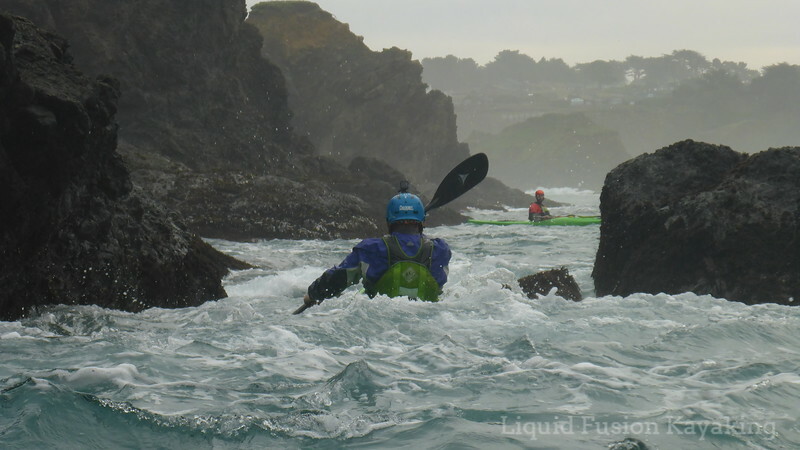 The Long and The Short - how paddling a longer kayak and a shorter kayak has improved my over all kayaking skills. 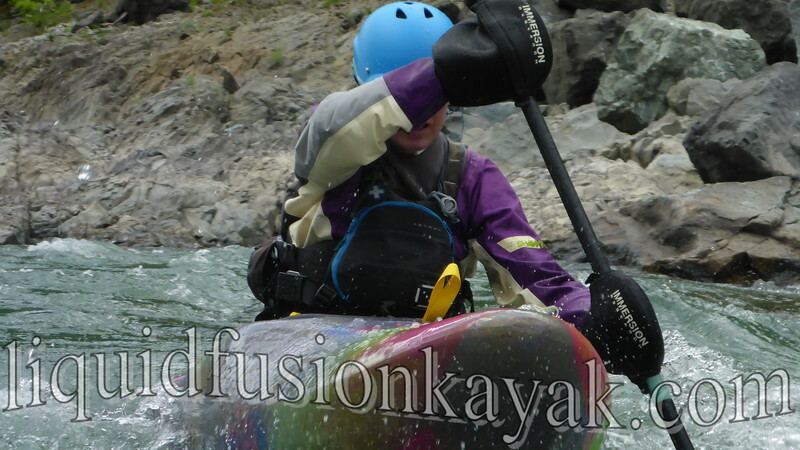 In the spring of 2014, I was in a slump in my whitewater paddling. I had become too comfortable on the river. I always admired whitewater kayakers who made river running look easy by using the current and minimum paddling effort to make moves and run down rapids. In my quest to work with the water, take the fewest amount of strokes, and use minimal effort, I became a lazy river kayaker. 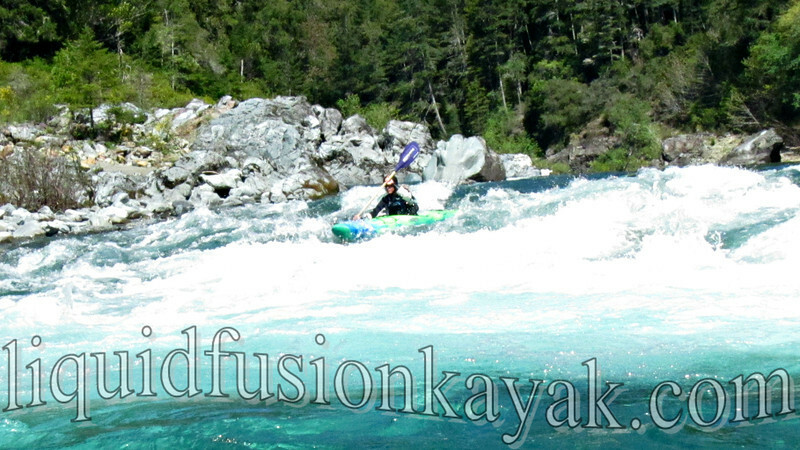 When we paddled the Jackson Karma RG's on the Eel River for the promo video, I realized my slacker ways. 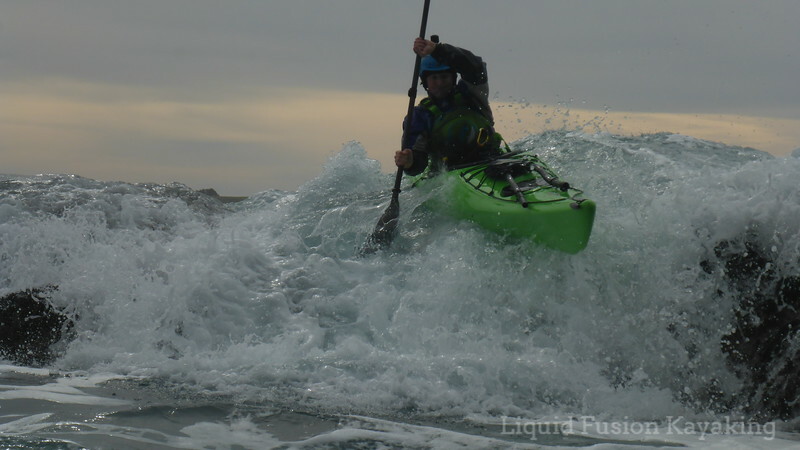 The Karma RG is a 12 foot whitewater kayak. My usual river running kayaks are in the 8 foot range. The RG is FAST and bullies down river. When I paddled the RG with my minimalist effort technique, I flew down the river but missed the eddies that I was trying to catch. It took about half the run for me to realize that I needed to plan my moves much sooner and paddle more aggressively. When I did this, I was whipping into eddies and making my lines. Fast forward to my next run in my regular river runner. I transferred these skills - planning my moves sooner and paddling more aggressively. BAM! My river running skills progressed. Jeff had been telling me that I needed to paddle more aggressively, but it took feeling it and learning it in the longer boat to get me to do it. On the short end of the spectrum, many of you know that a whitewater kayak is my favorite boat for rock gardening. To me rock gardening is like going to a playground or skate park with a variety of features. 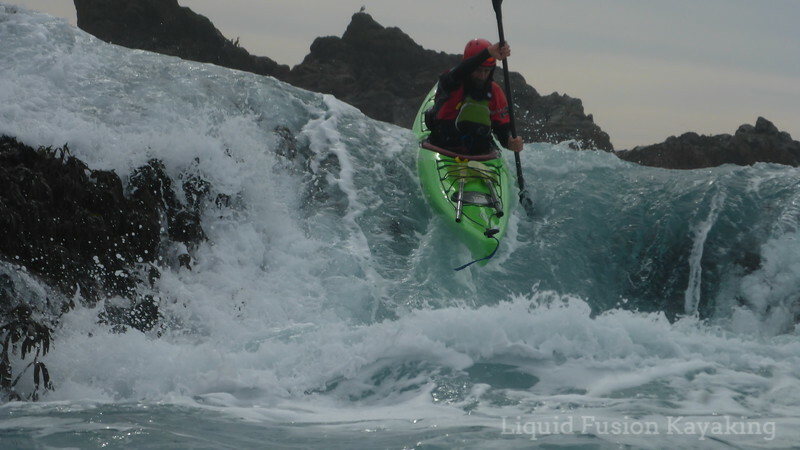 I find a 8-9 foot whitewater kayak to give me the best options for maneuverability, play, and surfing. A fun rock garden move that Jeff and I do in a whitewater kayak is to ride a pour-over then do a 180 and ride back over the pour-over using the water from the same wave (and sometimes then catching the next wave back over and repeating). This move is all about timing and being able to efficiently spin the boat 180 degrees in time to ride the water back over the pour-over. 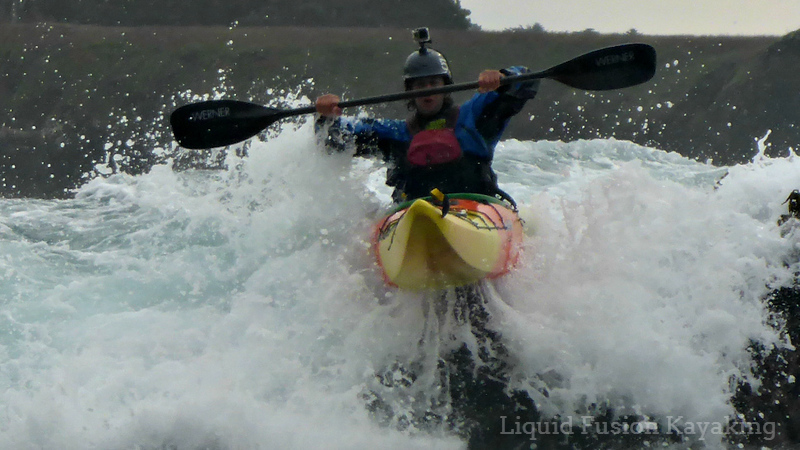 I learned this move in my whitewater kayak and last week did it for the first time in my 14.5 foot Dagger Stratos. It was a slower, lower angle pour-over but the skill of reading the water, timing, and maneuvering with the water was the same. It was pretty cool and fun how the shorter boat taught me a trick to try in the longer one. Here Jeff demonstrates the 180 to get a triple pour-over ride in his Dagger Katana. 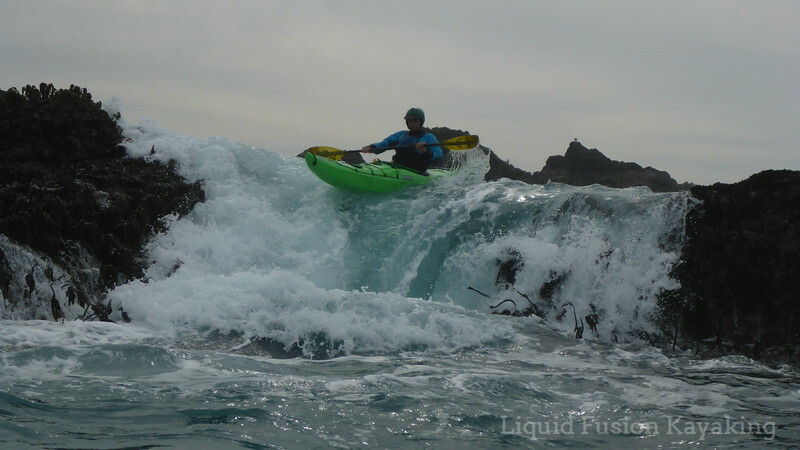 On the very short end of the spectrum, I have been playing in a whitewater freestyle kayak (about 5 1/2 feet long) on the river and in the surf. I thought I might learn some playboating moves but am not there yet and am having a blast learning to use the little boat to catch micro eddies on the river and bouncing around in the surf. I love that the freestyle kayak is so small and light and easily fits in the back of the car. It is great for a quick surf session and is fun in even the smallest of waves. 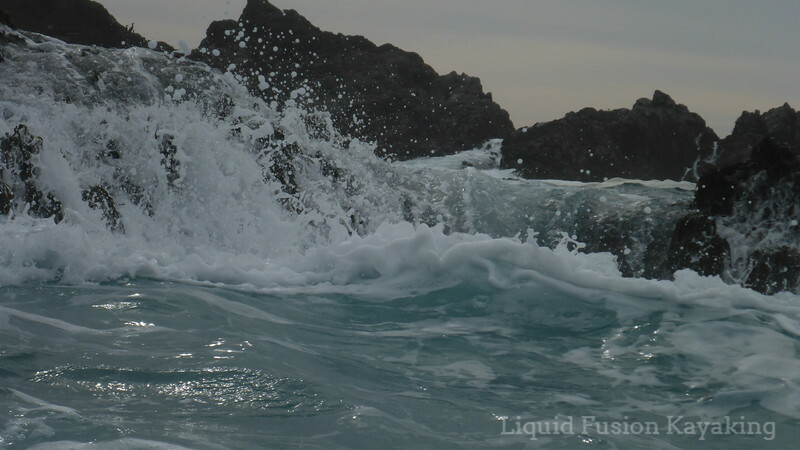 It is has been good for technique because it doesn't fly down a wave unless you have it in perfect position. I have learned how to maximize my position on the wave to push it down the line for a diagonal run. The slower speed gives my time to work on strokes like the precision of my stern rudder. I also am having fun doing flat spin 360's. I share this with you so that you think a little bit out of the box and try something new. There is a good chance that it will challenge you, you will build your skills, or find another way to play on your local waters. Your local kayak shop may have a demo program where you can try out different boats, or maybe you can organize a boat demo day or boat swap with your local paddling club. 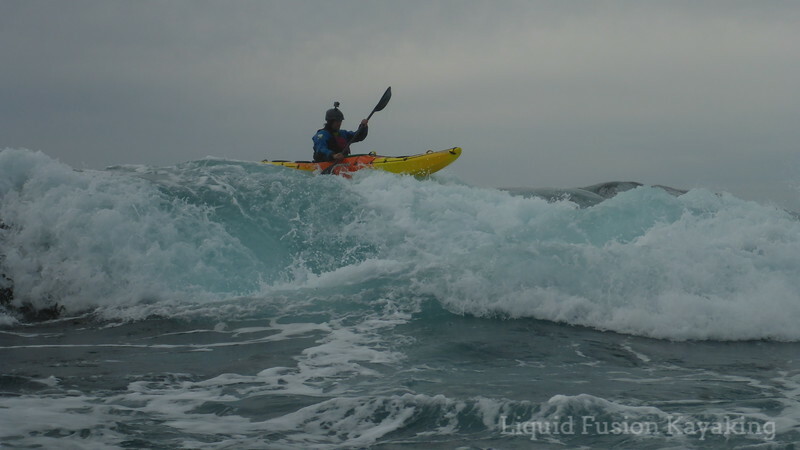 For paddlers that aspire to surf sea kayaks, I can't encourage you enough to get out and build your surfing skills in a whitewater kayak. This is a post for another time. My favorite part of the Paddle Golden Gate Sea Kayak Symposium is the post symposium shenanigans. 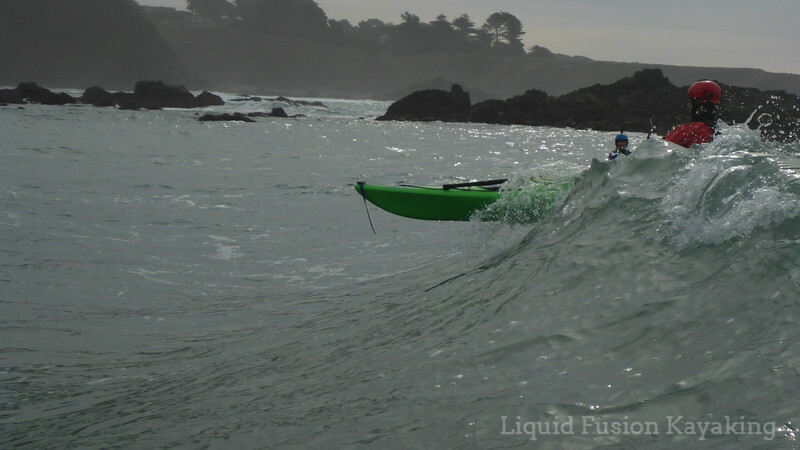 Often a crew of paddlers stop by Liquid Fusion's headquarters on the Mendocino Coast to decompress from the symposium. Of course rock gardening is part of the adventure. This year we had 2 groups stop by. The first was a crew of whitewater kayakers. 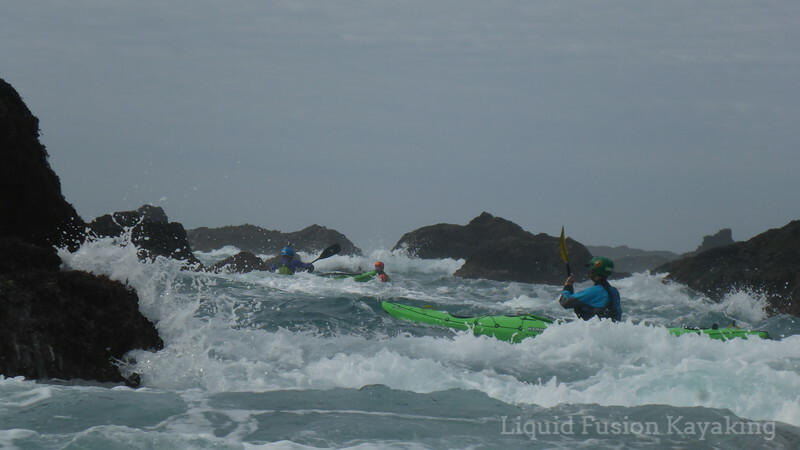 What happens when you get a crew of "sea-curious" whitewater kayakers out in sea kayaks for a rock garden expression session? You get the Stoutside Ball. The ocean was rowdy. 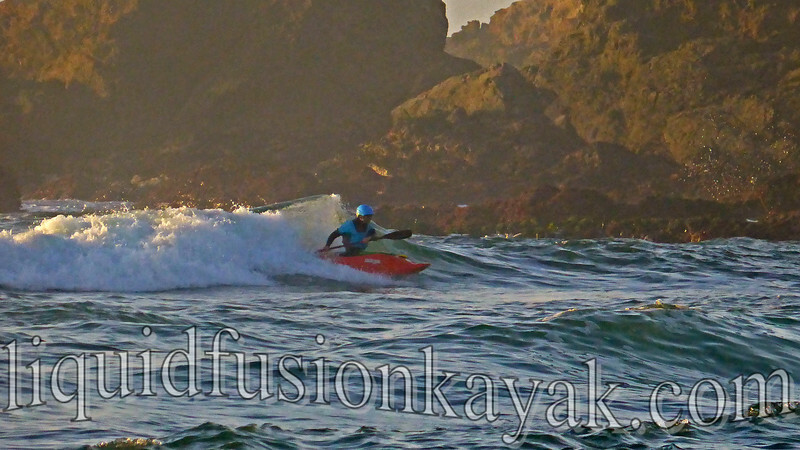 Our team of whitewater kayakers have the strokes and skills. Today was seeing if they could put them together to dance with the sea. 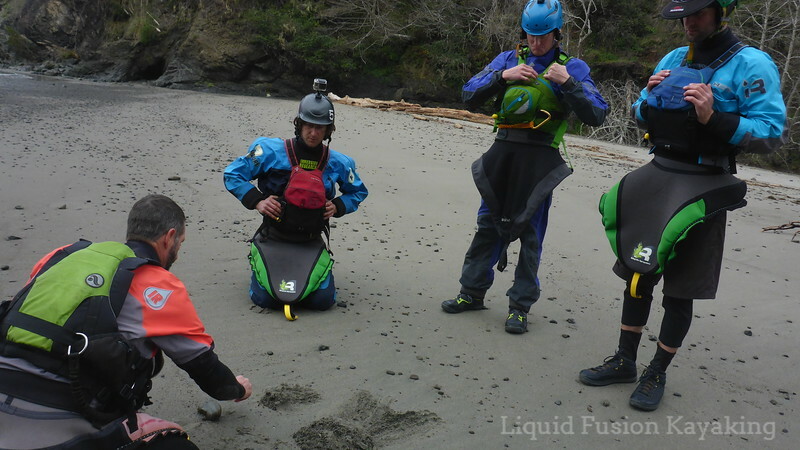 Jeff shares the Plan, Position, Perform concept with them as it applies to timing pour-over rides and surfing through the rocks. We reviewed the safety concept of "Outside" and went off to play. "Outside" is a term that we use when a bigger wave is coming. When a big wave is spotted, we yell "Outside." Everyone yells it to make sure that everyone on the team knows. Individuals then are responsible for making sure they are in a safe spot. Jeff Laxier teaches the "Outside" strategy. The day started off with some class fun pour-overs in the bay. The guys were getting their sea legs and working on their timing on pour-overs. 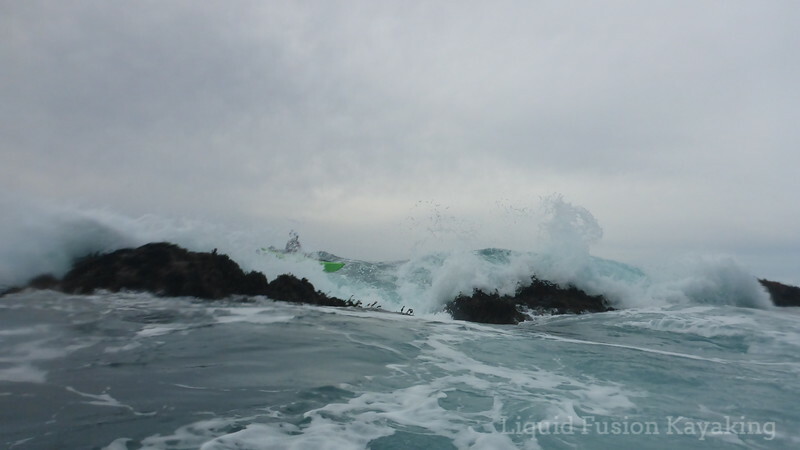 Demshitz Dave Fusilli getting his rock garden boof stroke down #seaboof. 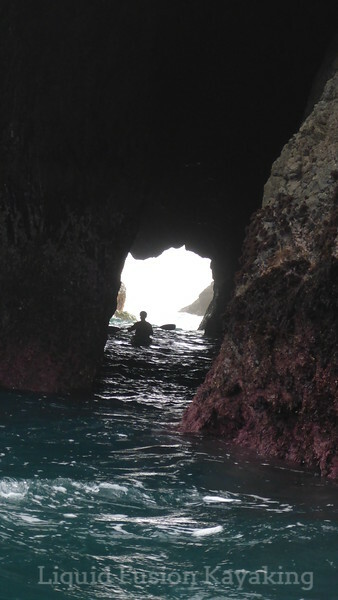 After a warm-up, we threaded the needle through some technical rock garden passages - surfing through sea caves and tunnels and dancing in slosh-pits. Through the Tunnel of Love. Snowy Robertson surfs through the slosh pit. Our journey took us to an area with several pour-over options. The medium tide and chunky swell made for fluffy pour-over rides with gaping hydraulic landings. Jeff Laxier looking good on a pour-over ride in his Dagger Stratos. Jeff and his 14.5 foot kayak swallowed by the hydraulic. Then the sea spit him out. After several rides, the gang started to get the feeling for timing the waves and were looking for the bigger waves to get bigger rides. When the larger sets would hit the outer reefs, the gang started calling "STOUT!" Hence the term "Stoutside" was coined. Max Blackburn on the pour-over with perfect timing. During our play session, many "Stouts" were ridden and many were watched with awe. Going to the ball isn't all about showing off your dance moves but sharing the dance with others. Jeff Laxier surfing his sea canoe. Thanks so much Dave, Max, and Snowy!!! It was so much fun to be on the water with yinz and share your energy and stoke. Check out a video short of our adventures on Immersion Research's Instagram and Facebook . 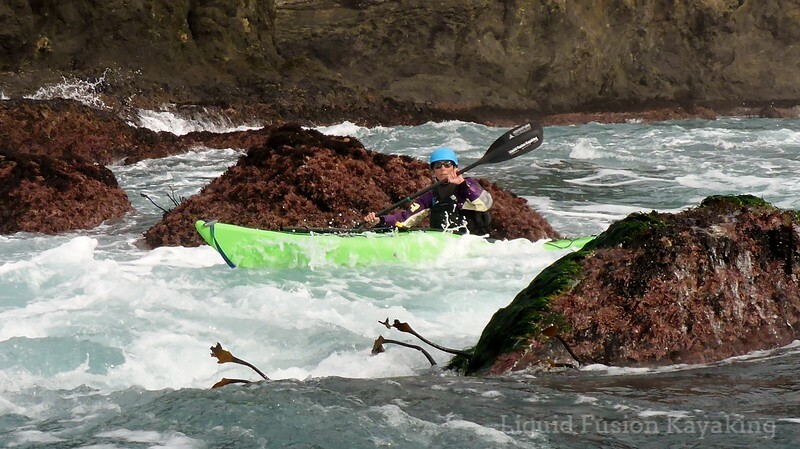 Sea kayak rock gardening on the Mendocino Coast of California.